MACOM and STMicroelectronics Accelerate GaN-on-Silicon Support for 5G Wireless Network Buildouts | MACOM Technology Solutions Holdings, Inc.
LOWELL, Mass. & GENEVA--(BUSINESS WIRE)--Feb. 25, 2019-- MACOM Technology Solutions Holdings, Inc. (NASDAQ:MTSI) (“MACOM”), and STMicroelectronics (NYSE:STM) (“ST”) today announced the 2019 expansion of 150mm GaN-on-Silicon production capacity in ST’s fabs, and 200mm as demand requires. The expansion is designed to service the worldwide 5G Telecom buildout. This builds upon the broad GaN-on-Silicon agreement between MACOM and ST announced in early 2018. 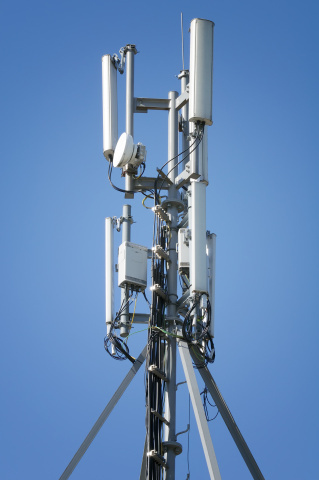 The global rollout of 5G networks and move to Massive MIMO (M-MIMO) antenna configurations is expected to create a substantial increase in the demand for RF Power products. Specifically, MACOM estimates there will be a 32X to 64X increase in the number of Power Amplifiers required. In turn, this is expected to more than triple dollar content over the course of a 5-year cycle of 5G infrastructure investment and thus drive an estimated 10X to 20X decrease in the cost per amplifier. Headquartered in Lowell, Massachusetts, MACOM is certified to the ISO9001 international quality standard and ISO14001 environmental management standard. MACOM has design centers and sales offices throughout North America, Europe, and Asia. MACOM, M/A-COM, M/A-COM Technology Solutions, M/A-COM Tech, Partners in RF & Microwave, The First Name in Microwave and related logos are trademarks of MACOM. All other trademarks are the property of their respective owners. For more information about MACOM, please visit www.macom.com follow @MACOMtweets on Twitter, join MACOM on LinkedIn and Facebook or visit the MACOM YouTube Channel. This press release contains forward-looking statements based on MACOM's beliefs and assumptions and on information currently available to MACOM. These forward-looking statements include, among others, statements about the anticipated global 5G network buildout, MACOM’s expectations for an increase in demand for RF Power products, MACOM’s projected market share of the global 5G network buildout, the ability of OEMs to build a new generation of high-performance 5G networks and MACOM’s ability to meet demand for 5G buildouts. These forward-looking statements reflect MACOM's current views about future events and are subject to risks, uncertainties, assumptions and changes in circumstances that may cause those events or our actual activities or results to differ materially from those expressed in any forward-looking statement. Although MACOM believes that the expectations reflected in the forward-looking statements are reasonable, it cannot and does not guarantee future events, results, actions, levels of activity, performance or achievements. Readers are cautioned not to place undue reliance on these forward-looking statements. A number of important factors could cause actual results to differ materially from those indicated by the forward-looking statements, including, but not limited to, those factors described in "Risk Factors" in MACOM's Annual Report on Form 10-K, Quarterly Reports on Form 10-Q and other filings with the Securities and Exchange Commission. MACOM undertakes no obligation to publicly update or revise any forward-looking statement, whether as a result of new information, future events or otherwise. In 2018, the Company’s net revenues were $9.66 billion, serving more than 100,000 customers worldwide.